SM UC-56 was a German Type UC II minelaying submarine or U-boat in the German Imperial Navy (German: Kaiserliche Marine) during World War I. The U-boat was ordered on 12 January 1916, laid down on 4 March 1916, and was launched on 26 August 1916. She was commissioned into the German Imperial Navy on 18 December 1916 as SM UC-56. In 6 patrols UC-56 was credited with sinking 1 ship by torpedo: the British hospital ship Glenart Castle. 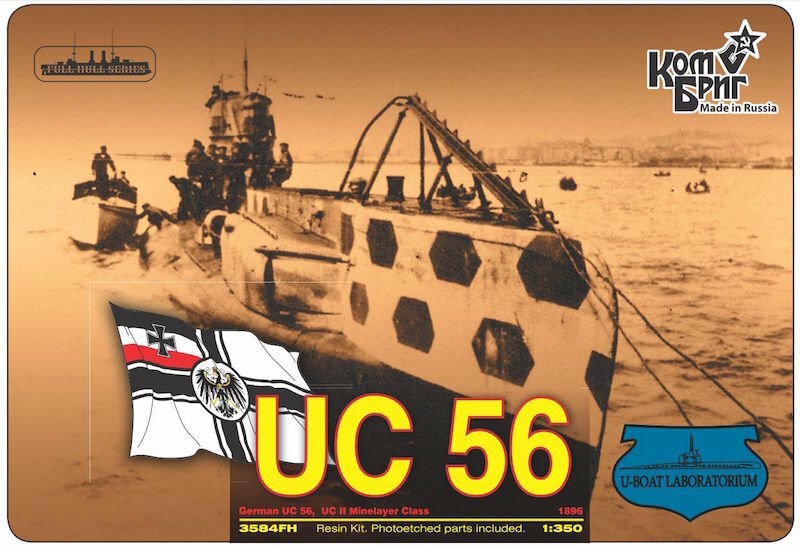 UC-56 suffered from mechanical breakdowns that prevented her from submerging. She put in at Santander, Spain, on 24 May 1918 and was interned there for the duration of the war.